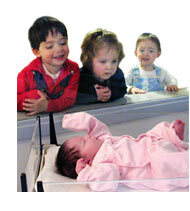 Mid Coast Hospital is Maine's most modern maternity center, serving the town of Bath. Below: Use mouse to navigate map, zoom in or out. Bath is approximately 4 miles (straight line distance) to Mid Coast Hospital.